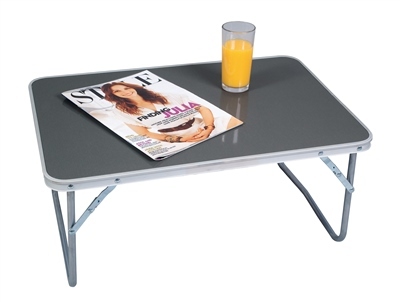 Ideal for those with limited head height, as a coffee, side table, or for children as well as being very useful for picnics and outdoor eating.The Camping Low Table utilises a convenient folding and lightweight design to allow for the table to be easily set-up as well as taken down. It is easy to store and transport for life on the move. This table solves a problem that we faced this year as we attended two festivals, namely that our cooking stove needed a flat surface for more stability. This table is firm and robust, and gives us a safe way to cook on the uneven grass surfaces. The table is compact when folded, and light to carry, so is perfect for our needs.